Obese, Poor, Smokers Care More About Fire Safety? What could be worse than getting a bag of coal for Christmas? A bag full of toxic chemicals, health groups say. A new report from HealthyStuff.org finds toxic chemicals in many of the popular Christmas decorations like Santa Clause [sic] hats, Christmas lights, stockings, and wreaths that were tested. We here at ACSH would expect such alarmist drivel from many an urban tabloid, and of course from numerous news media devoted to spreading the green-enviro gospel of cleansing the earth of every measurable chemical, no matter how benign, no matter how expensive the cleansing might be. But lo and behold: this news item was found in the respected DC organ, The Hill. Not content with merely spreading this scary nonsense, the journalist writing this up aided and abetted it by its headline, Christmas decorations filled with toxic chemicals, study finds. (We suppose Jewish Chanukah observers can relax, as those decorations were apparently untested). So what did this study actually find? One thing s for certain: nothing was filled with anything: trace levels of certain chemicals and heavy metals were detected in trace amounts. This group tested 69 seasonal holiday products purchased in November 2014 from major retailers. According to their lab s testing, more than two-thirds of the products contained at least one hazardous chemical at levels of concern. Those hazards included lead, antimony, chlorine, bromine, and tin. The dangerous decorations included beaded garlands, light strings, tinsel garlands, artificial wreaths and greenery, stockings, figurines and other tabletop decorations, and gift bags. 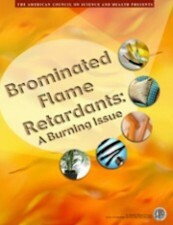 The concurrent presence of bromine, chlorine, and antimony, as well as their concentrations, suggest that these elements are part of flame retardant chemicals in the beads. [One-third] of the products were found to contain chlorine greater than 1% by weight, which indicates the likely presence of vinyl (PVC plastic). ACSH s Dr. Gil Ross had this comment: Given that the holiday season is an especially fraught period for household fires the combination of candles and frilly decorations is well-known to be dangerous at this time of year, and later on too as Christmas trees become dried out I am pleased to learn that such decorations contain flame-retardant chemicals! Brominated FRCs are especially targeted by consumer groups oh so concerned with preserving us from traces of toxic chemicals. On the other hand, our studies of FRCs found that there is actually no adverse health effect to be derived from them unless of course one consumes them as food, which we discourage. Typical environmental exposure, including from holiday decorations, is not a threat. Their absence is actually a threat, from devastating fires. Healthystuff.org should be condemned for attempting to garner publicity and donations by scaring celebrants at this vulnerable time, while also encouraging them to avoid safe products resistant to flame.